Want to stay up-to-date on the conference and salons? 10 Years of Technology, Entertainment and Design in Greenville. 10 Years of Ideas Worth Spreading. Reflect on the evolution of the Greenville community over the past 10 years, to the community of diversity, growth, innovation, technology, inspiration, and FUN that it is now. It cannot be argued that the ideas, topics, and motivations that stemmed from TEDx Greenville influenced this evolution. As we celebrate 10 years of achievements and success, we eagerly await the evolution of our NEXT 10 years. This is 10 years in the making so experience TEDx Greenville for yourself to identify YOUR role in Greenville's expansion into the exciting Unknown. In the world of mathematics, x represents what is known as an independent variable or what we commonly know as the unknown value. 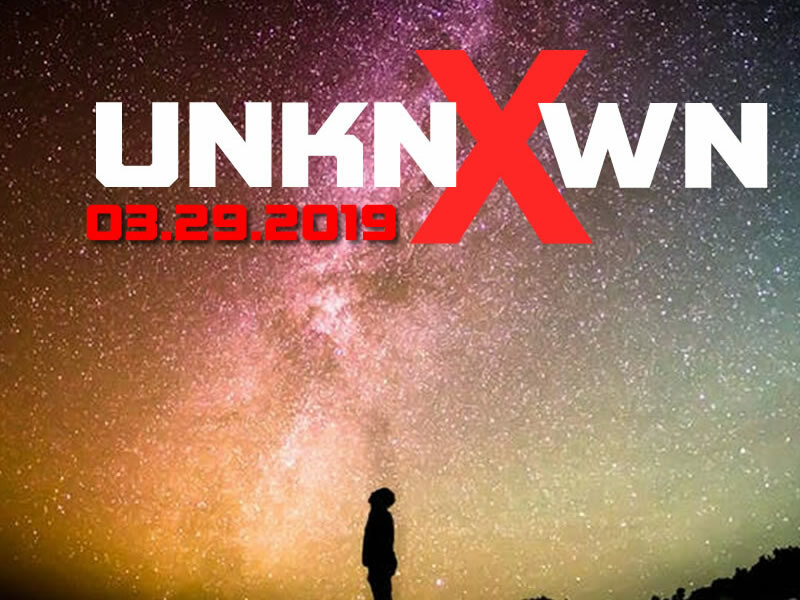 For nearly 400 years humans have used x to represent the unknowns in other scenarios, from social justice to science fiction. The Roman numeral for ten is also x, and after a decade of ideas worth spreading in Greenville we see the x as our symbol of celebrating and discovering the unknown. This year marks the 10th anniversary of TEDxGreenville, celebrating 10 years of ideas worth spreading. And it is with great pleasure that while celebrating the past in the present, we want to introduce Greenville to our unknown future. There are mindscapes, communities, technologies, creative spaces and paradigms that have yet to be explored--yet to be mapped and expressed. There are experiences that reveal the unexplained and unseen around us and within us, and these unknown often become common to us well after their unveiling. Man has stepped into the unknown to bring to light the most pivotal shifts in the direction of mankind. Electricity. Civil Rights. Flight. The Atomic Bomb. Pasteurization. Democracy. Penicillin. The Constitution. The Internet. Uncharted is the unknown, but not the unseen. Unknown is the unrecorded, but not the unreported. The greatest solutions are often unknown, but not impossible. Courage to face the unknown is courage to champion change, but not the embrace of fear. Could these be the ideas worth spreading that will transform Greenville and South Carolina for the next ten years? Let go of your past experience to embrace a new one at TEDxGVL 2019! In the spirit of ideas worth spreading, TED created a program called TEDx. TEDx is a program of local, self-organized events that bring people together to share a TED-like experience. The TED Conference provides general guidance for the TEDx program, but individual TEDx events, including ours, are self-organized. Our event is called TEDxGreenville, where x = independently organized TED event. At our springtime annual conference, TED videos and live presenters will spark deep discussion and connection in a small group. TEDxGreenville 2019 will be held Friday, March 29, at the One Center in Downtown Greenville. Don't miss this mind-shifting, immersive day full of fresh ideas and experiences.